Children's oral health has a crucial role in the development of their teeth and jaw. This section deals with dental issues relating to children and also addresses relevant questions on related issues. 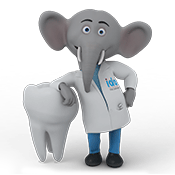 Paediatric Dentistry is the branch of dentistry that includes the following: Training the child to accept dentistry, restoring and maintaining the primary, mixed and permanent dentitions, applying preventive measures for dental caries and periodontal diseases and preventing, intercepting and correcting various problems of occlusion. It is a combination of several areas of applied sciences related to general and dental health of the child. Parents play an important role in shaping their child’s oral health practices from infancy upto their teens hence a complete knowledge about the oral cavity is a must. Gum pads are the alveolar arches, which at the time of birth are firm and pink. The upper gum pad is horse shoe shaped and lower gum pad is ‘U’ shaped or rectangular in form. At rest the gum pads are separated by the tongue, which protrudes over the lower gum pad to lie immediately behind the lower lip. At this age the upper lip appears very short. The upper gum pad is wider than lower and when the two are approximated, there is a complete over-jet. This is a complex process which begins with teeth formation from the stage of embryonic cells growth to the eruption in the mouth. Deciduous teeth start to develop in the embryo\uterus between the sixth and eighth week and permanent teeth in the twentieth week. The tooth bud\ tooth germ is an aggregation of cells that eventually form a tooth. The tooth bud is organised into three parts: The enamel organ, the dental papilla and the dental follicle. The enamel organ forms the enamel. The dental papilla contains cells that develop into odontoblasts, which are dentin- forming cells. Cells within the dental papilla are responsible for formation of tooth pulp. The dental follicle gives rise to three important cell types. Cementoblasts, osteoblasts and fibroblasts. Cementoblasts form the cementum of a tooth. Osteoblasts give rise to the alveolar bone around the roots of teeth. Fibroblasts develop the periodontal ligaments which connect teeth to the alveolar bone through cementum. Some infants are born with one or more teeth i.e natal teeth or have teeth which erupt into the mouth within the first 30 days of life i.e neonatal teeth. Most often, these are the primary (baby) teeth, not extra teeth. If possible, these teeth should be maintained. However, natal or neonatal teeth may have to be removed if they are loose, it's risky as the child could swallow them. These teeth also may be removed if they interfere with feeding or irritate the child's tongue. These are the first teeth of a child. They are twenty in number, ten in each jaw. When a child is born the teeth are already formed in the jaw although they can't be seen. The baby starts teething around six months of age and by three years all twenty teeth have erupted. The characteristic feature of the primary dentition is the presence of spaces between the teeth and the absence of premolar teeth. Mastication or chewing food is a very obvious function. The chewing helps to break- up food for easy digestion. Speech is developed with the help of tongue, cheek and the primary teeth. Aesthetics depends on attractive, well alighned healthy teeth. Missing or damaged teeth affects your child's personality and self- esteem. Space maintenance for the permanent teeth to erupt. Central incisors 8-12 months . These are the first molars that erupt in the oral cavity. The first permanent molars are the most important teeth for the proper development of adult dentition. From six to 12 years of age, the dentition consist of both the primary and permanent teeth, hence it is called mixed dentition. By 12 years of age, all the permanent teeth except the second and the third molars have erupted in the oral cavity. During the mixed dentition at about the age of 9-11 years the upper front teeth appear non- aligned. This is called the `ugly duckling stage' and is self correcting, with the eruption of the permanent canines. Lower teeth: The first permanent molar. They are very important from functional point of view. The large occlusal surface helps bear the maximum load of masticatory/ chewing forces. Upper teeth: Decay is rapid at times due to the presence of deep, coalesced fissures and food lodgement. When the child is about twelve years of age, all the primary teeth have exfoliated and the permanent teeth continue to erupt. The dentition now consists only of the permanent teeth hence called the permanent dentition. The second permanent molars erupt at about 12 -14 years of age and the third permanent molars at 17- 21 years of age, hence called wisdom teeth. sufficient amount of protein, calcium, phosphorus and vitamins A, C and D intake by the mother during pregnancy will ensure healthy teeth for the baby. Regular dental cleanings and checkups is must during pregnancy, as research links gum disease (periodontal disease) to premature birth and low birth weight. It has also been recognised, that mothers are the most common source of transmission of bacteria to their infant. The primary dentition is more prone to decay than the permanent dentition in children. This may be due to lesser thickness of enamel and greater consumption of sweets. Birth to 6 months : Clean the infant's gums with clean wet gauze after feedings and at bedtime. A moistened gauze or washed cloth is wrapped around the index finger of the hand and gum pads are massaged gently. Regulate feeding habits (bottle feeding and breastfeeding). Six months to 1 year : Consult the Pedodontist during this time, as the first tooth erupts. 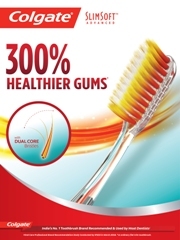 Brush teeth after each feeding and at bedtime with a small soft- bristled brush. Wean the child from breast or bottle by the end of 1st year. Diet : Prolonged bottle or breast feeding provides an oral environment favourable to bacterial proliferation and formation of acidogenic plaque. It is recommended that nocturnal feeding be discontinued after the eruption of the first tooth. 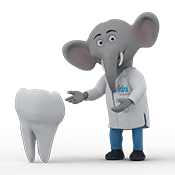 One to 2 years : Follow the schedule recommended by the paediatrician's for dental examinations and cleanings. Generally, this is recommended every 6 months. By this age the child learns to rinse his/her mouth and most deciduous (milk ) teeth have erupted. It is now appropriate to brush with a pea- sized portion of fluoridated toothpaste. Diet : Infants and children need to eat frequently more than three times a day. Sugary snacks like cookies, candies, cakes should be offered at meal times, than between meals. Early Childhood Caries (ECC) is a specific term used to describe dental decay in infants and toddlers. This is also known as nursing bottle caries, baby bottle tooth decay, nursing bottle syndrome or milk bottle syndrome. Today, the new name for ECC is ‘Maternally Derived Streptococcus Mutans Disease (MDSMD). Children who are breast fed on demand-specially at time other than normal feedings and throughout the evening, often develop early multiple carious lesions. This is one of the most severe form of tooth decay, which involves the surfaces of teeth, usually considered immune to tooth decay. A special characteristic is that it typically involves maxillary primary incisors, upper and lower molars. The mandibular incisors are usually spared, probably because they are protected by the mechanical cleansing action of the tongue. Feeding beyond the weaning age i.e. beyond 12 to 15 months. Single parent households where there is too much burden on mother. High socio-economic status where some mothers avoid breast feeding and the domestic help continuously forces a bottle into the child’s mouth. Low socio-economic status where the child is cared by the young siblings and the resultant neglect leads to tooth decay. Children who suffer from sleep disorders are found to be affected by nursing caries. Food products responsible are honey, fruit juices, sweetened beverages, pacifiers sweetened with jam and jelly, infant milk formulas and milk or water with added sugar. Children with ECC may show retarded growth as compared to normal children because nursing caries is a severely disabling condition causing unaesthetic appearance. Due to loss of tooth structure, the child may suffer from malnutrition as he/she is not able to properly chew food. Early extraction of maxillary incisors can create speech problems. Loss of primary teeth can cause space problems, which may result in malalignment of permanent teeth. Counseling regarding discontinuation of the habit . Counseling:The first step is to identify the cause. Abrupt cessation of the feeding habit is not advised; rather a gradual withdrawal must be done. The habit must be reduced to 70% at the end of the first week, 50% by the end of the second week, 20% at the end of the third week and so on. Feeding with a cup or spoon should be encouraged. Serial dilution of the contents of the bottle with water has been recommended over a period of 1-2 weeks so that eventually the child drinks only plain water. Feeding at night is to be strictly avoided. Water after feeding must be given. Infants must be weaned at 12- 14 months of age and on demand nocturnal feeding must be denied. Consumption of juices from a bottle should be avoided, juices must be offered from a cup. Dietary modifications: Elimination or at least gradual reduction of additional sugar must be done. Depending on the child’s age and chewing capacity, natural food like fruits should be given to the child. Measures for oral hygiene must be implemented by the time the first tooth has erupted. Restorative procedures:Small cavitations are commonly restored with glass ionomer restoration materials. Pulpal treatment as indirect pulp capping, direct pulp capping, pulpotomy and pulpectomy may be performed. These can be done under local or general anaesthesia if necessary and it involves a thorough excavation followed by placement of sedative dressings. The patient is then given the necessary instructions regarding oral hygiene and diet. Then, stainless steel crowns and polycarbonate or celluloid crown forms are placed. Extraction of teeth is never encouraged. However, if the teeth are beyond repair, extraction followed by placement of a suitable space maintainer is advocated. Fluoride supplements to prevent caries can be given depending on the age and need of the child. Children with healthy mouths are able to chew food efficiently and more easily. A healthy dentition gives children confidence in their appearance. Preventive dentistry ensures less extensive and expensive treatment in the future. Preventive Dentistry begins with the eruption of first tooth. The earlier the dental visit, the better the chance of preventing dental disease and inculcating oral hygiene habits in children which are beneficial for life. The Pedodontist should evaluate the child’s oral health and accordingly design the preventive treatment plan which includes oral prophylaxis, topical fluoride application, pit and fissure sealants, early diagnosis and management of orthodontic problems, prevention of sports injuries to the face and teeth. Complete oral examination with appropriate diagnostic tests to assess oral growth and development. Oral hygiene counseling for parents, guardians and caregivers. Oral (prevention) prophylaxis as indicated. Assessment of the child’s systemic and topical fluoride status and provide counseling regarding the same. Systemic fluoride supplements, if indicated, following assessment of total fluoride intake. Assessment of feeding practices, including bottle and breast- feeding and counseling. Dietary counseling related to oral health. Age-appropriate injury prevention counseling for orofacial trauma. Counseling regarding non-nutritive oral habits (e.g. digit, pacifiers). Birth to 12-month procedures should be repeated every 6 months or as indicated by the child’s risk status/susceptibility to disease. Assessment of feeding practices, including bottle, breast- feeding and counseling as indicated. Review of child’s fluoride status. Topical fluoride treatments every 6 months or as indicated by the child’s needs. Procedures should be repeated every 6 months or as indicated by child’s risk status/susceptibility to disease. Assessment of feeding practices, including bottle, breast- feeding and counselling as indicated. Complete radiographic assessment of pathology and/or abnormal growth and development, as indicated by child’s needs. Oral prophylaxis should be done every 6 months, pit and fissure sealants for primary and permanent teeth as per the child’s needs. Counselling and other preventive measures (mouthguards) for orofacial trauma prevention and assessment / treatment or referral of developing malocclusion. Treatment and/or appropriate referral for any oral diseases, habits, or injuries as indicated. Also assessment of speech and language development and appropriate referral . 2 to 6 year procedures should be repeated every 6 months or as indicated by child’s risk status / susceptibility to diseases. Substance abuse counselling (eg, smoking, smokeless tobacco). 6 to 12 year procedures should be repeated every 6 months or as indicated by child’s risk status / susceptibility to disease. Conversion of hydroxyapatite to a fluoridated hydroxyapatite:Dental enamel is a crystalline structure composed of hydroxyapatite crystals. Fluoride ion replaces a hydroxyl ion and consequently renders the hydroxyapatite crystal more stable and resistant to dissolution by acid. Increased rate of post eruptive maturation:When a tooth erupts into the oral cavity there are certain areas of the tooth which have yet to be completely developed. Fluoride when present increases the deposition of mineral in these areas. Both organic and inorganic mineral ions are deposited onto the enamel surface which makes it more resistant to acid attack. Inhibits the micro- organisms:When the fluoride concentration within a bacterial cell reaches a certain limit, it becomes bactericidal. In lower concentrations, fluoride is bacteriostatic i.e. it reduces the growth of bacteria but does not kill them. The action of fluoride is mainly on the bacterial enzymes. Teeth, which have developed under influence of fluoride, have shallow fissures, less steep cuspal inclines and rounder cusps. Systemic fluorides are thought to be effective if present only during the time of tooth formation and development. After that topical fluorides are supposed to play a vital role in increasing the resistance of the tooth to decay. Critical Age for Fluoride Intake It is certainly important for infants and children between the age of 6 months and 16 years to be exposed to fluoride. These are the time frames during which the primary and permanent teeth form and erupt. Acute toxicity : Fluoride toxicity occurs from ingestion of a large amount of fluoride. This could happen because of ingestion of fluoride containing products such as pesticides or dental care products like mouthrinses or tablets, drops, etc. Chronic toxicity : Chronic toxicity of fluoride results from prolonged consumption of water with high levels of fluoride. Dental Fluorosis : Chronic consumption of high levels of fluoride results in dental fluorosis in which white flecks, yellow or brown areas are seen over the tooth surface. This condition is also called as ‘Mottling of enamel’. In severe cases the morphology (structure) of the tooth may also be affected. Storing fluoride supplements like fluoride tablets away from young children. 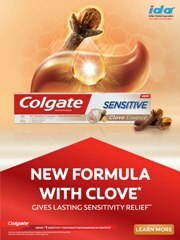 Avoid flavoured toothpastes because these tend to encourage toothpaste to be swallowed. Use only a pea-sized amount of fluoridated toothpaste on a child's toothbrush. Be cautious about using fluoridated toothpaste in children under age 6.Children under 6 years of age are more likely to swallow toothpaste instead of spitting it out. Dental amalgam is a self hardening mixture of silver-tin- copper alloy powder and liquid mercury and is sometimes referred to as silver fillings because of its colour. Dental amalgam has been used for restoring teeth since the 1880s. Amalgam’s properties, such as ease of moulding, durability, relatively low cost as compared to other restorative materials, have contributed to its popularity. Aesthetics and improved tooth colour restorative materials, however have led to a decrease in its use. It is durable; long lasting. Wears well; holds up well to requirement of eating. Generally completed in one visit. Gray coloured, not tooth coloured. May darken as it corrodes; may stain teeth over time. Requires removal of some healthy tooth. In larger amalgam fillings, the remaining tooth may weaken and fracture. Stainless steel crowns (SSC) are prefabricated crown forms that are adapted to individual teeth and cemented with a biocompatible dental luting agent. The SSC is extremely durable, relatively inexpensive, subject to minimal technique sensitivity during placement and offers the advantage of full coronal coverage. Stainless steel crowns can be used for the restoration of primary and permanent teeth with caries, cervical decalcification, and/or developmental defects (eg, hypoplasia, hypocalcification) and following endodontic treatment of teeth. When aesthetics is a concern, the facing of the stainless steel crown can be removed and replaced with a resin-based composite (tooth coloured; open- faced technique). Several brands of primary stainless steel crowns are available with preformed tooth coloured veneers. Means that the infection has reached the pulp of the teeth. If children have an infection of the pulp, they may not feel any pain at first. But if left untreated, the infection will cause pain and swelling. In some cases, an abscess will form. Eventually, the tooth may need to be extracted. Sensitivity to cold that lasts longer than a couple of seconds. Swelling near the affected tooth. A discoloured tooth with or without pain. Pulpotomy : Pulpotomy is a procedure performed on a tooth with a deep carious lesion adjacent to the pulp. The coronal pulp (pulp in the crown portion of the teeth) is amputated and the remaining vital radicular pulp (pulp in the root portion of the tooth) tissue surface is treated with a medicament such as formocresol or ferric sulphate or with electrocautery to preserve the radicular pulp health. The coronal pulp chamber is filled with a suitable base and the tooth is restored with a restoration that seals the tooth from micro leakage. Pulpectomy : Pulpectomy is a dental procedure in which all of the material in the pulp chamber and root canal of a tooth is removed. During the pulpectomy procedure, the patient is given a local anesthetic to minimize pain. A hole is drilled into the tooth to allow the dentist access to the pulp. He or she uses tools to carefully remove all of the material, and then flushes out the tooth to remove lingering traces of infection. Next, the tooth can be filled with an inert substance, and then sealed with a crown or cap. Typically, prophylactic antibiotics are prescribed to reduce the risk of developing an infection in the wake of the procedure. Apexogenesis (root formation) : Apexogenesis is a histological term that has been used to describe the result of vital pulp procedures that allow the continued physiologic development and formation of the root’s apex. Root Canal for Primary Tooth : Primary teeth diagnosed with irreversible pulpitis or necrotic pulp, will be treated by the dentist first by anaesthesia to the area around the tooth. An access cavity is prepared in the crown of the tooth to remove the pulp chamber. The entire roof of the pulp chamber is removed to gain access to the canals and eliminate all coronal pulp tissue. Then the root canals have to be measured to know the length so that all the diseased pulp tissue is removed and the entire canal is cleaned. Root canal treatment can be done in one or more visits, depending on the damage. An infected tooth will need several appointments to eliminate the infection. Some teeth may be more difficult to treat because of the position of the tooth, as they have many curved root canals that are difficult to locate or for other reasons. An uncomplicated root canal treatment can be completed in one visit. Once the root canal treatment is finished, the tooth is restored with a crown or fillings. The oxygen in the air triggers bacteria growth causing inflammation and pain when a root canal is opened for treatment. At times bacteria are pushed out during a root canal procedure into the surrounding tissue. This results in inflammation and infection which needs treatment with painkillers and antibiotics. The side of the tooth (perforation) can be punctured if the canal is curved or if the canal cannot be located. A root canal may be missed or an entire canal may not be cleaned. Locating canals within the tooth can be difficult. If a canal or an offshoot of a canal isn't located and cleaned out, the tooth can remain infected and the root canal procedure will have to be repeated. This can happen if a canal isn't measured correctly and pieces of infected or inflamed pulp are left. Apexification (root end closure) : Apexification is a method of inducing root end closure of an incompletely formed non- vital permanent tooth by removing the coronal, non- vital radicular tissue just short of the root end and placing in the canal a suitable bio- compatible agent such as calcium hydroxide or MTA. Once apical closure is obtained or an apical barrier is established, root canal treatment should be completed. This procedure is undertaken for non- vital permanent teeth with incompletely formed roots. A fixed prosthetic restoration replaces one or more missing teeth in the primary, transitional or permanent dentition. This restoration attaches to natural teeth, roots or implants and is not removable by the patient. Growth must be considered when planning fixed restorations in the developing dentition. Maintains arch space or integrity in the developing dentition. Prevents or corrects harmful habits. A removable prosthetic appliance is indicated for the replacement of one or more teeth in the dental arch to restore masticatory efficiency, prevent or correct harmful habits or speech abnormalities, maintain arch space in the developing dentition or obturate congenital or acquired defects of the orofacial structures. Recommendations: Removable prosthetic appliances may be indicated in the primary, mixed or permanent dentition when teeth are missing. obturate congenital or acquired defects. facilitate infant speech development or feeding. The premature loss of primary or permanent teeth results in loss of arch integrity, space and arch length, perimeter or circumference. Migration of primary and/or permanent teeth can reduce available space to cause crowding of the permanent dentition. Diagnosis : The pre-mature loss of primary molars requires the placement of a space maintainer to prevent the migration of the adjacent teeth, depending upon the teeth present and the arch length. The premature loss of primary canines may therefore require the placement of a space maintaining appliance to prevent midline deviation and/or loss of arch length, perimeter and/or circumference which causes crowding of the permanent teeth which erupts in the place of the primary teeth. Contra-indications : A space maintainer is not necessary, if there is a sufficient amount of space to allow for eruption of permanent tooth/teeth. A space maintainer may not be recommended if severe crowding exists, such that space maintenance is of minimal effect and subsequent orthodontic intervention is indicated. A space maintainer may not be necessary if the succedaneous (permanent) tooth will be erupting soon. Avoid sticky sweets, popcorn, ice and chewing gum. Keep your 6-month check up appointments to monitor oral health and evaluate the need of space maintainer. The treatment modalities may include, but are not necessarily limited to, the following types of appliances. Band and Loop space maintainers are used when the first primary molar is lost. The fabrication of this maintainer for the clinician and maintenance for the patient is easy. But it can cause the opposing tooth to supra erupt. Used at the loss of first primary molar with significant loss of tooth substance of the abutment tooth. There is ease of fabrication for both the clinician and maintenance for the patient. It is more difficult to fabricate than band and loop. Distal shoe is used at the loss of second primary molar when there is significant time for the first permanent molar to erupt. It is more difficult to fabricate than band and loop. LLHA is used at the loss of second primary molar in the mandible (counterpart to Nance). It maintains the tooth and the leeway space. First permanent molars may be susceptible to decalcification; may be prone to breakage unless the patient is well- informed on maintenance. Used by the dentist at the loss of second primary molar in the maxilla- counterpart to LLHA. It maintains the tooth space and the leeway space but meticulous hygiene of the acrylic button is required. Hawley Appliance should be used when multiple primary teeth are lost and the space maintenance and mastication are of concern. It maintains space as well as aids in mastication but is susceptible to fracture or loss. Oral habits acquired during infancy (e.g. non- nutritive sucking) have adverse health consequences. The identification of such habits and assessment of immediate and long-term effects on the teeth and orofacial development should be made as early as possible. After infancy, persistent oral habits affect facial growth, oral function, the occlusal relationship and facial aesthetics. It is observed that habits commonly occur in girls more than boys. A single child is more vulnerable to this problem. Guidance of the eruption and development of the primary and permanent dentitions is an integral part of the care of paediatric patients. Such guidance should contribute to the development of a permanent dentition that is in a harmonious, functional and aesthetically acceptable occlusion (the manner in which the upper and lower teeth come together when the mouth is closed). Pedodontist have the responsibility to recognise, differentiate and either appropriately manage and treat or refer abnormalities in the developing dentition as dictated by the complexity of the problem and the individual clinician’s training, knowledge and experience. Early diagnosis and successful treatment of developing malocclusions (misalignment of teeth) can have both short-term and long-term benefits while achieving the goals of occlusal harmony, function and dental facial aesthetics. The variables associated with the treatment of the developing dentition will affect the degree to which the treatment is successful. This is not limited to chronologic, mental and emotional age of the patient, but affects the ability of the patient to understand and cooperate in the treatment. Frequency and duration of an oral habit. Parental support for the treatment. Concomitant systemic disease or condition. Many unpredictable factors can affect the management of the developing dental arches and minimise the success of any treatment. These factors cannot always be controlled by the pedodontist. Appropriate pretreatment records should include those deemed necessary by the individual clinician to adequately diagnose the patient’s condition. An assessment of overall oral health. Facial analysis to determine the present growth pattern . Functional analysis to determine the presence of any deleterious habits and or occlusal dysfunction. Positive behaviour modification techniques should be employed. During the treatment the child needs emotional support of the parents. Constant reassurance and encouragement must be given to gain confidence. This employs applying bitter preparations like pepper, asafoetida, quinine, neem leaves etc. to the thumb or fingers. Thermoplastic thumb post can be placed on the offending digit. This includes various orthodontic appliances such as removable appliances like palatal crib, rakes, palatal arch, lingual spurs, Hawleys retainer with or without spurs and fixed appliances like lingual tongue screens. A fixed intra-oral appliance is attached to the upper teeth by means of bands fitted to the primary second molars or the first permanent molars. A lingual arch forms the base of the appliance to which are added interlacing wires in the area of the anterior part of hard palate. This appliance was introduced by Haskell. It consists of a modified six sided roller machined from Teflon to permit control by the tongue. This is slipped over a 0.045 stainless steel wire soldered to molar orthodontic bands. This appliance is placed for 3-6 months. Instructions are given to turn the roller instead of sucking the digit. This appliance prevents the thumb from being inserted and also corrects the malocclusion by expanding the arch. Tongue thrusting is a common habit in children which is developed due to retained infantile swallow pattern. During swallowing the tongue pushes against the front teeth or through the upper and lower teeth. Abnormal tongue positioning or its deviation during swallowing results in the same. The child is asked to place the tip of his tongue in the rugae area for 5 minutes and is then asked to swallow. Orthodontic elastic and sugarless fruit drop exercise can be performed by holding the tongue against the rugae area on the palate. Other exercises such as whistling, gargling, yawning, reciting the count from sixty to sixty nine etc. to tone the muscles are undertaken. Mechanotherapy : Fixed and removable appliances can be fabricated to restrain anterior tongue movement during swallowing. A Nance palatal arch with an acrylic button is used as a guide to place the tongue in the correct position. Fixed habit breaking appliance can also be fabricated where in bands or crowns are given on the first molars adapted with a U- shaped wire which follows the contour of the teeth. Three to four projections of wire or cribs are soldered to this U shaped wire to prevent the movement of tongue. A Oral or Vestibular screen can be given to effectively control the abnormal musculature and bring about the normal movements of tongue. Surgical treatment : The treatment of the retained infantile swallow behaviour is difficult and often consists of orthognathic surgical procedures to correct skeletal malformation as well as myofunctional therapy. Mouth breathingIt is commonly seen in children who have nasal airway impairment due to enlarged adenoids, deviated septum and enlarged tonsils. Adenoid facies (long narrow face, narrow nose, flaccid lips with upper lip short). Incompetent lips especially in children giving a typical ‘Gummy smile’. Retroclined upper and lower incisors. Inflamed and irritated gingival tissues. The child is instructed to extend the upper lip to cover the vermillion border under and behind the maxillary incisors. This exercise should be done 15- 30 minutes a day for a period of 4- 5 months when the child shows a short hypotonic and flaccid upper lip. Button pull exercise- a button is taken and thread is passed through it. Patient is asked to place the button behind the lips and pull the thread while restricting it from being pulled out by using lip pressure. Tug of war exercise involves two buttons, with one placed behind the lips and other is pulled by the other person. If maxillary incisors are protruded the lower lip can be used to augment the upper lip exercise. Oral Screen can be constructed to block the passage of air through mouth and effectively re- establish the nasal airway. This can be done by minor removable orthodontic appliances like the oral shield, chin cap as interceptive method, monobloc activator. It is the habitual grinding of teeth when an individual is not chewing or swallowing. It is more common during the subconscious state at night and is referred to as nocturnal bruxism. It results in occlusal wear and formation of a typical wear facets. Occlusal trauma can lead to tooth mobility. Tenderness of muscles leading to fatigue. stabilising occlusion of the patient. Any prematurities or occlusal interferences in restorations can be corrected by coronoplasty (re- shaping of the teeth). Vulcanite spilts have been recommended to cover the occlusal surfaces of all the teeth as a treatment of bruxism. TMJ appliance can also be fabricated to treat TMJ disorders. Similarly LA injections or other vapo- coolants like ethyl chloride can be given in the TMJ pain area. Counseling of the patient can lead to decrease in stress and create habit awareness. These are observed in children as a manifestation of stress but this is rarely seen before 3- 6 years of age. Toothbrushes for children must have soft bristles so as not to abrade the tooth enamel or harm the gum tissues. Replace the brush when the bristles begin to lose their shape. After each use, the toothbrush should be placed in an upright position to dry. A toothbrush should not be shared, replace it after a cold, flu or any mouth infection. Electric toothbrush may be more effective at removing plaque and preventing gingival bleeding than the manual toothbrushes. They were developed in 1939 in Switzerland. Rechargeable cordless toothbrush were introduced in 1961 by General Electric, these moved up and down when activated. In 1987 the first rotary action toothbrush, the Interplak, appeared in shops for the general public. Brushing-Parents should brush teeth with their children, showing correct brushing techniques. Brush gently in a circular motion at a 45 degree angle to the gum line (i.e. Bass technique). Consider the teeth as having four surfaces: cheek side, tongue side, the sides where teeth touch each other in each jaw and the chewing surfaces. Finding a brush that your child likes will help their desire to brush. Toothpaste is a paste or gel used to clean teeth by the removal of dental plaque and food from the teeth. This eliminates or masks halitosis (bad breath) and releases fluoride to prevent tooth and gum disease. If children are prone to tooth decay, brushing with fluoride toothpaste after meals will help. The difference between paste and gel is their physical appearance and taste. While gels may seem less abrasive than pastes, this is not the case. Actually, gels can be more abrasive because of the silica used to make them. Children's toothpaste is different than adult toothpaste. Toothpastes for children are not as abrasive as adult toothpaste. It provides less fluoride and does not have the additives to fight tartar and gingivitis. Some children don't like the “fizz “and “tingly” taste of the toothpaste. 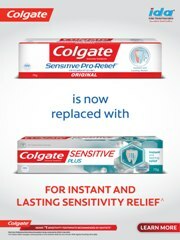 There are brands of toothpaste without the fizzy taste but have fluoride that is important for fighting tooth decay. Children should only use a “pea sized”amount of fluoride toothpaste until their permanent teeth appear. Brushing teeth is more important even without toothpaste. Toothpaste is not intended to be swallowed as some pastes may cause nausea or diarrheoa. Extended consumption while the teeth are forming can result in fluorosis. This is why children of a young age should not use toothpaste except under close supervision. Teenagers can use adult toothpaste. If your child’s teeth stain easily, a little adult toothpaste may be helpful in removing the stain. The results show that products containing these agents have the ability to stop the growth of S. mutans. Products containing sodium bicarbonate and/or hydrogen peroxide may be useful to caries- prone children. Mouth rinse, use of anti-microbial rinses like, chlorhexidine 0.2% or Sodium fluoride 0.05% is suggested. Young children are not allowed unsupervised mouth rinsing as they may swallow the entire mouthful, which is harmful. Tongue cleaning is important as it is the cause of bad breath. After the teeth and gums, you must brush your tongue. Tongue is like a carpet. It traps foods and germs. In addition to brushing your tongue, there are tongue scrapers that are useful in reducing the build-up of germs and food debris. Parent, adult or older sibling must assume total responsibility for cleaning teeth of infants and young children as children are unable to effectively clean their teeth until 5-8 years. 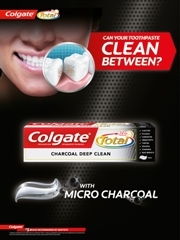 Neglect of oral hygiene causes deterioration of teeth. Teeth cleaning must be done in a comfortable and pleasant environment. Toothpaste is not necessary for infants, in fact taste and foaming action may cause a problem. Teeth cleaning should be done atleast once daily; wiping the teeth of the infant following feeding is recommended. Cleaning teeth after feeding in the evening may be easy than at bedtime when infants are both tired and cranky.